“It felt inevitable.” At the screening for Amy you could hear many people recounting the moment they found out that Amy Winehouse had died. “I think I’m going to cry” was another common phrase filling the room before the lights went down – and watching Amy certainly is a painful experience, as its trajectory pulls us toward the tragic outcome that we already know. Amy is a see-saw of despair and recovery, filled with light and dark: we’re guided through fruitful periods of creativity; missed opportunities for intervention; and a shocking decline. Amy is expertly constructed by Asif Kapadia, who builds his film by layering comments from several contributors over footage collected from a variety of sources (home video, mobile phone footage, press interviews and photographs). The effect is seamless and absorbing from the first frame – to the point where you can almost get entirely lost in the flow, unaware of the intense level of attention that’s gone into assembling every little detail. Kapadia has managed to sift through countless hours of footage, and has located visual material which precisely reflects, contradicts and exposes the subtleties buried within the aural commentary – Amy is a film that therefore deserves to be seen more than once, in order to grasp the many things missed. In contrast to his previous landmark documentary, Senna, Kapadia’s latest will no doubt have more of an impact here. While fascinating, there was an unavoidable sense of detachment while watching Kapadia’s account of Formula One driver Ayrton Senna. Yet his story of Amy Winehouse strikes a powerful chord much closer to home – and among the many emotions Amy provokes, one of the strongest is guilt. Kapadia’s film eradicates the distancing effect of the press, and forces you to confront the life destroyed under the glare of a sea of flashbulbs. The sound of cameras flashing is cranked right up, and the impact will make you squirm as footage shows Winehouse sometimes resisting, and sometimes vacantly submissive, hopelessly unable to maintain a private life. If you ever flicked through a trashy gossip mag or newspaper, and lingered on a picture of Winehouse, then witnessing the reality of those captured moments will leave you with an uneasy feeling of complicity. Amy will inevitably produce a lot of debate, and you can see the film appearing on university syllabuses in the years ahead, as a starting point for discussions about biographical representation. Winehouse’s father, Mitch, has already spoken out against the film, despite his involvement in it – he feels that he has been unfairly portrayed, and sure enough, Mitch doesn’t come out of this well. Which begs the question: which material has been very purposefully selected here, and which has been intentionally left on the cutting room floor? Kapadia has assembled his version of Winehouse’s existence from several other people’s accounts of her. The real Winehouse – barring a few comments and her song lyrics – remains largely inscrutable. Beyond its obvious themes of the destructive effects of fame, Amy is fascinating because it raises another important question: how do you capture the truth of someone’s life? In this respect, it makes a very interesting companion piece to Sarah Polley’s 2012 documentary Stories We Tell. 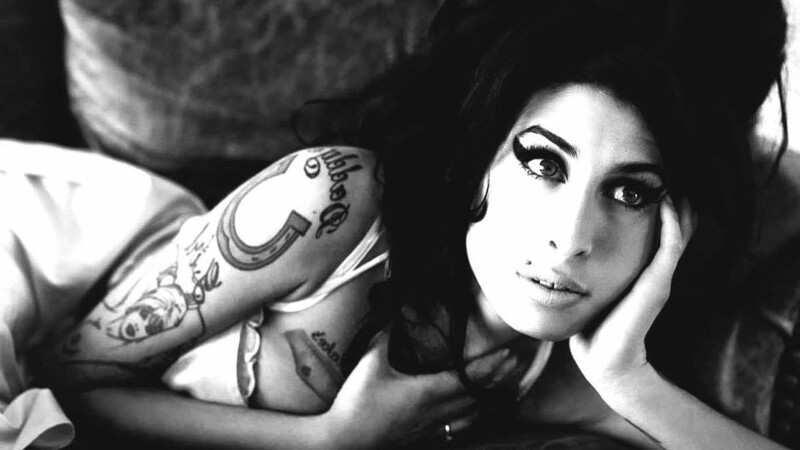 However, what is wonderful about Amy is that it does offer us a glimpse of that truth. She may be quite inscrutable, but we are given clues to her interior life, which allow us the chance to re-examine her music and the environments in which she felt most relaxed and happiest. Winehouse didn’t like performing to large audiences – she lets it be known that she preferred the small, intimate setting of a jazz venue or a recording booth. The standout moment occurs when we get to see Winehouse at Mark Ronson’s studio, recording the title track of ‘Black to Black.’ All we hear is her voice for a while, before the backing track is brought up to reveal the completed version of the song. It’s a stirring moment, which allows the viewer to absorb not just the power of her voice, but also the eloquence of her lyrics – it sits at the core of Kapadia’s film, and, thankfully, it’s the moment which lingers longest.